Mobile video app maker Viddy has not hidden its plans to help them dominate the market of social video, it’s been bringing celebs onto the platform in an interactive way. Not only are celebs like Snoop Dogg using the app to talk to their fans, the company has created a platform which it calls “Production Packs” which let its community create videos in the style of their favorite artists, complete with music and cameos from the artists themselves. 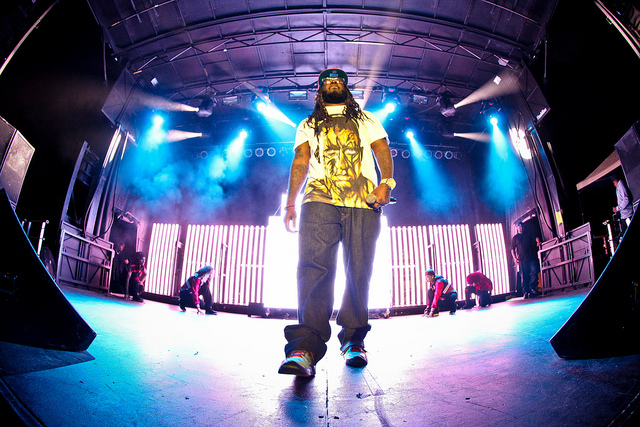 The newest act to join the Viddy tribe is famous rapper T-Pain. The company has announced that a new pack of tools is available as an in-app download that lets you create your own T-Pain style video complete with video effects and his latest single “5 O’Clock”. T-Pain is known for his innovative Audio Effects and is a perfect partner to launch Viddy’s Special FX marketplace for Artist and Celebrity inspired mobile video production. Viddy is creating a new content market for musicians, celebrities, and brands. Viddy enables artists to showcase their creativity and engage with fans in new and entertaining ways through mobile video. The production pack costs $.99 and is similar to the promotion Viddy did with Disney in bringing The Muppets to its community. The Viddy app lets you shoot 15-second videos that can be about anything you want, and the company saw 40M video views last month alone. The app is what Instagram would be if it were to have video capabilities, which are rumored to be on the way. The advantage has to go to Viddy though, which has artists like Linkin Park, Warren Sapp, Giuliana Rancic, Snoop Dogg, T-PAIN, and Jamie Kennedy using its platform.